The Hub at Facebook Headquarters, California. It’s hard to believe that Facebook’s Platinum-Level bike program can be traced (literally) back to a square on the architectural plans for Facebook’s then big new campus, marked “Bike Shop?” (yes, with a question mark). This space eventually became The Hub, a free full-service bike shop and transportation center right in the middle of Facebook’s Menlo Park, CA Headquarters. 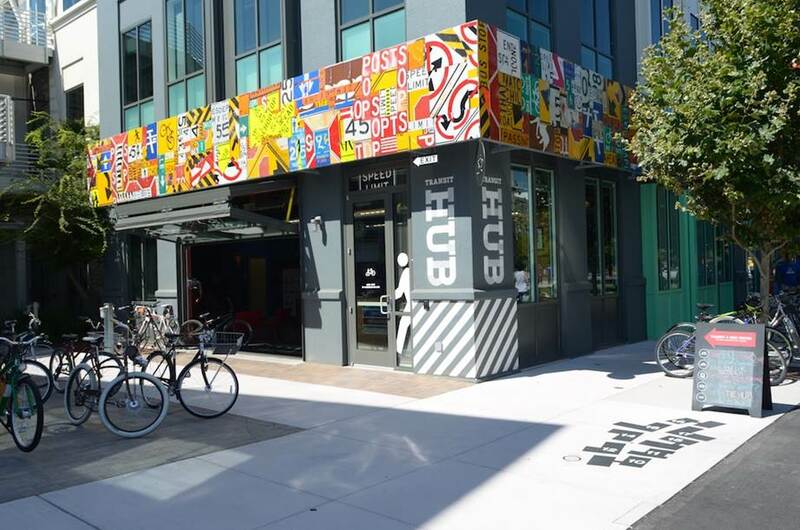 Initially The Hub served as central location for transportation staff plus things bike, helmed by Bikes Make Life Better, but quickly spawned new bike programs, events, and eventually new satellite bike shops as Facebook expanded. New campus bike shops: As Facebook has expanded, so too has its shops. There are now 4 bike shops on campus, including a semi-mobile shop that’s moved to different locations as the campus expands. Bike Ambassadors: Ever-focused on making social connections, Facebook now has a team of Bike Ambassadors with the sole assignment of getting more employees to use bikes. The Ambassadors, most of whom are League Certified Instructors, recently developed an Adult Learn to Ride curriculum and began the first classes on campus this summer. 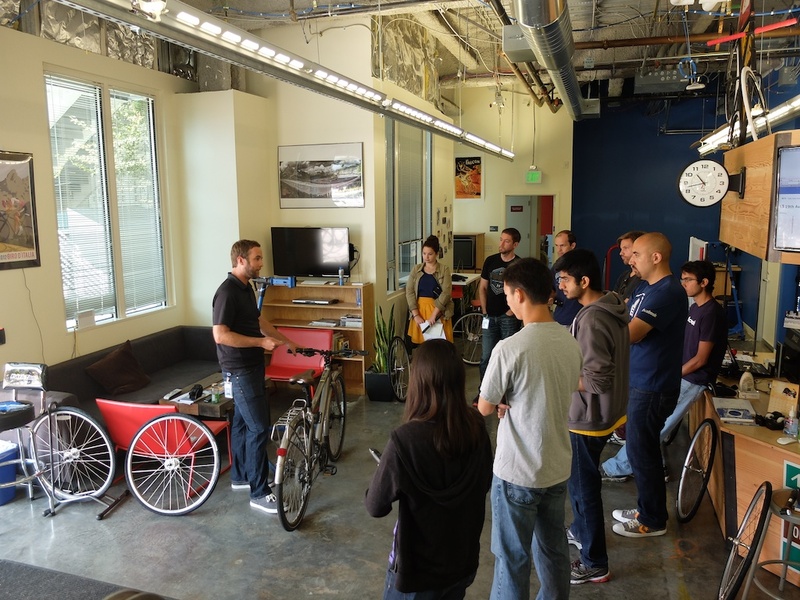 They’re helping employees who’ve never ridden a bike to become full-fledged riders! A “Mobile Concierge”: The newest member of Facebook’s bike team is an electric cargo bike and attached trailer that “pops up” into an info booth, complete with counter space and an umbrella. Bike Ambassadors take the MC around Facebook’s enormous campus, spreading bikevangelism. 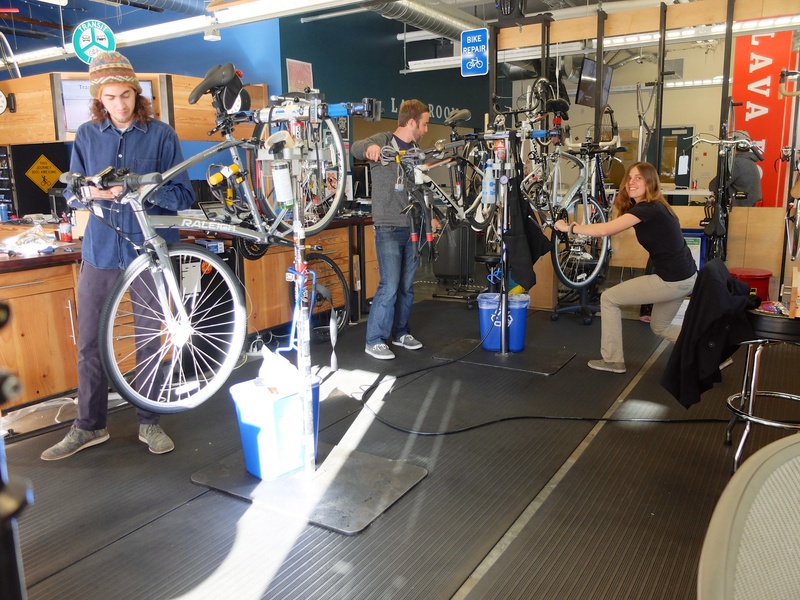 Hands-on repair classes, safe cycling workshops, and on-site bike repair keep employees engaged and riding. Safe cycling workshops teach employees how to safely ride and use a bike. Facebook’s program was always worth liking. But over the past year, the company has invested in its bike community in some truly novel ways! Need help developing bike programs at your company? Bikes Make Life Better is dedicated to helping large organizations use bikes for healthy sustainable transportation. They’ve helped companies like Salesforce, Airbnb, Stripe, Pembroke Real Estate, LinkedIn and many others shift to bikes.